With Memorial Day just a couple of weeks away, the west coast is feeling the effect of a recent spike in gasoline prices, even though the national average cost of fuel continues to drop. The price for regular gasoline in California jumped nearly 16 cents to $4.345 since last week, while the national average is 5 cents lower at $3.727 per gallon, about 70 cents lower than the Golden State. Oil companies are blaming the recent spike in prices on several different reasons, including a 20-year shortage of fuel for the month of May. 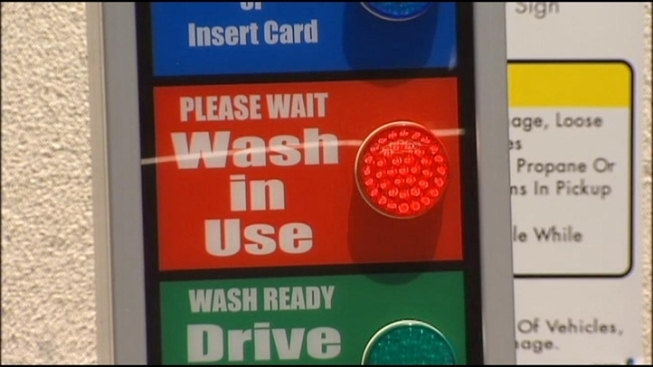 Several refinery shutdowns up and down the coast have led to fuel shortages because California mandates a cleaner-burning blend of gasoline, and prices are expected to continue rising, according to NBC Bay Area. NBC4 looks at the recent spike in gas prices and what NBC4's Facebook users have to say.Mekahlo Medina reports on the NBC4 News at Noon. When asked about the spike in prices, some fans on the NBC Los Angeles Facebook page were not thrilled. “There is no such thing as a shortage. It's called higher prices to make more profit from gas,” wrote Val Simon. “We need to drill for our own... Make more U.S. jobs!! !,” commented Diane Greiner. Talk to most drivers and they claim to have a secret to stretching a tank of gas. But before you waste your time and your money trying to save a few pennies, Gordon Tokumatsu separates fact from fiction. Mary Donahue thinks the spike is strategic on the part of the oil companies. 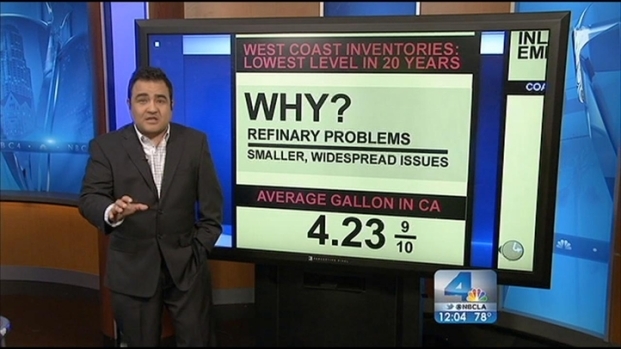 Several issues are at play when it comes to finding a reason for the spike in gas prices. Conan Nolan reports there is actually an ample supply, but it's the worry of a shortage that is helping drive up prices.